Do you lack balancing capacity, or would you like to use the know-how of our experts? We offer all-round services including: consultation during product development, contract balancing and testing at our balancing centers, and on-site balancing service. Benefit from our contract balancing, field balancing and runout measuring services! Whether balancing is performed at our balancing center or at your location: Hofmann has highly advanced machines and correction tools for virtually all rotors. Our balancing experts have the experience and knowledge to balance according to your specification. For rotors where the vibration is monitored with eddy current transducers, we measure the electric runout. We are also ready to consult during the development process of your machines in order to identify and implement possible improvements. Save on the procurement and maintenance of your own balancing machines, balancing devices or runout measuring systems! Use the expertise of our experienced balancing specialists for difficult tasks such as the balancing of flexible rotors, when achieving tight tolerances or during comprehensive vibration analysis! 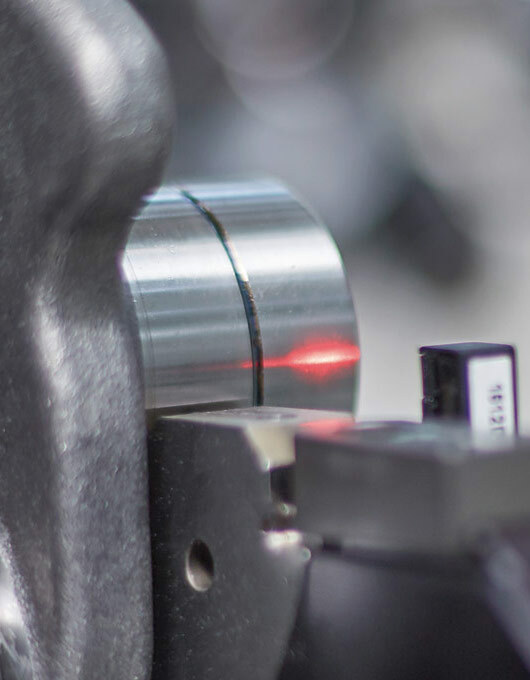 With our modern balancing and vibration measuring instruments and analysis tools, you ensure the minimization of vibrations and a long service life. Create transparency with our balancing reports for documentation and problem identification! Benefit from low downtimes and costs! The Hofmann balancing specialists are prepared for short-term appointments and will work directly at your location if needed. This means that the time-consuming and costly transport of your rotor to a balancing center is not necessary. Use the experience and expertise of our balancing specialists during troubleshooting! Our expertise – the balancing of virtually all rotor types.